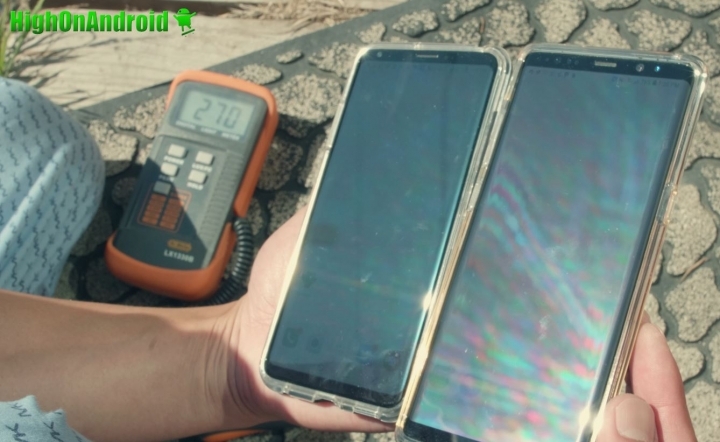 FYI: Both phones have sunlight sensor to kick in super-bright mode so that is why the screens don’t get brighter indoors. See all past brightness test results here. As I suspected, Samsung AMOLED hasn’t gotten brighter over its predecessors but LG’s new V30 w/ OLED display proves to be on par with Samsung, considering no LCD displays have made Top 5 for our brightness test. Not quite as bright but from naked eye, I couldn’t not tell the difference. Next few years will be a competition between LG’s OLED smartphone displays vs. Samsung’s AMOLED displays, both which are top of its class and seems like OLED may prove to be smart move on LG. Next story Chamberlain Smart Wi-Fi Garage Door Opener Review! Previous story Galaxy Note 8 vs LG V30 EXTREME Camera Stability Test on Motorcycle!